Focus is not how clear my drawing is. Instead, the focus is what I want you to look at. And often the focus is what I want you to feel. I use composition. ― If I were focusing on sadness, for example, I might place a child with a sad expression more toward one corner of my paper like you can read about in my lesson on composition. In this way the child would appear to be off-center, lonely. And even sadder. I use shading. ― If I were focusing on happiness, for example, I might use more contrast between the light and the shadow on the face of a jubilant child. Then the child's face would appear to be closer to the light source. Even brighter! I use detail. ― Consider the drawing shown here. What is my focus? 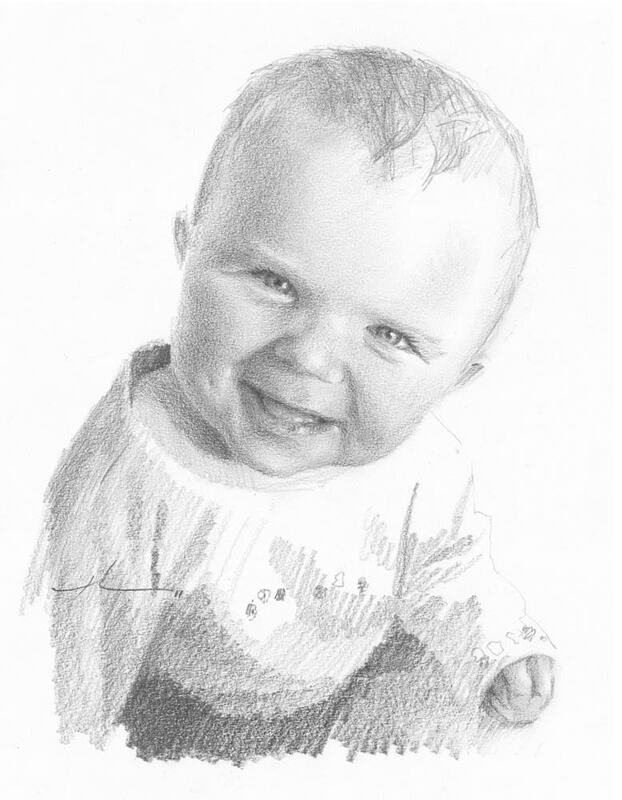 I drew the baby girl's face with photographic detail especially around the eyes. Compare this to the rougher style I used to draw her shirt. 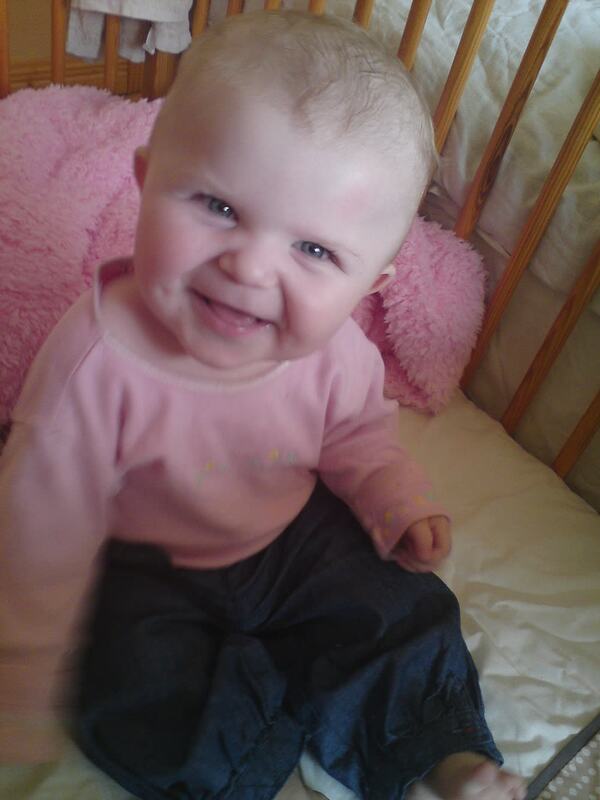 I wanted to direct your attention to her face because my focus was for you to feel an urge to kiss her little cheeks! EXERCISE ― Get a photograph of a group of things like leaves, bricks in a wall, or a flock of birds. Better yet, find a real life grouping of these things inside or out. Within that grouping you choose, find something that catches your eye, that you like, that intrigues you. And draw that something. Make that something your focus. But be sure to include some of the other things that surround it. Now use one or more of the 'tricks' I described above to draw the viewer's attention to your focus!